We work only upon requests for assistance from local communities and in close partnership with grassroots and regional organizations in every case. We are devoted to ensuring that the voices of communities are heard and respected. We use our expertise with non-judicial accountability offices to add value to locally-led strategies for human rights and environmental justice. We support communities from all over the world, and have achieved significant success and tangible impact in our cases. For example, we have supported communities to prevent abuses in Mexico, to compel redesign of a project in Papua New Guinea, and to reach historic agreements in Mongolia and Haiti. We train local, regional, and international organizations on how to effectively use non-judicial accountability offices. As part of our mission, the groups we train go on to continue advocacy for accountability in international finance in their communities, regions, and countries. How Do We Select Our Cases? We assist communities to defend their rights through complaints to accountability offices tied to projects that cause harm. Accountability Counsel’s assistance to communities begins with a request for support from the community itself or a local civil society organization, followed by initial factual research and needs assessment. We do not solicit communities for cases – communities must demonstrate that we are a wanted and trusted partner by reaching out to us. Nearly all cases come to us through referrals through civil society networks, often with only one or two degrees of separation between local communities and Accountability Counsel. Involve a trustworthy local partner with whom we can closely collaborate. We also consider the likelihood of a complaint leading to a positive result at the community level and the likelihood of creating systemic change at the institutional level when assessing requests for assistance. Our case work has a wide range from intensive and comprehensive assistance to local communities and their partners throughout a complaint process, to providing more targeted support with daily case work conducted primarily by local partners. Typically, we first partner to understand existing advocacy strategies to discover how we can support them. We conduct trainings in local communities about all options for addressing human rights and environmental abuses associated with internationally financed projects. If the community decides to move forward with a complaint to an accountability office as one of their options, we work with our clients and their partners to develop a strategy using a number of other methods as well. The accountability offices we support communities to use may involve dispute resolution and/or compliance reviews. We assist with factual research, drafting of the complaint, support with the filing of the complaint to the accountability mechanism, and assistance throughout the dispute resolution and/or compliance review process. Often, we support engagement with policy-makers and accountability office staff to ensure a full understanding of the case and a community’s desired result. We are committed to the implementation of agreements reached and compliance findings that translate into action plans — we therefore continue to support our clients after formal processes are complete to ensure that complaints result in actual change on the ground. Our Communities lawyers work from two continents to support communities. Our Communities teams in Asia and San Francisco, in cooperation with partner organizations, conduct trainings, assist in complaint preparation and filing, and accompany communities through all aspects of a complaint process. 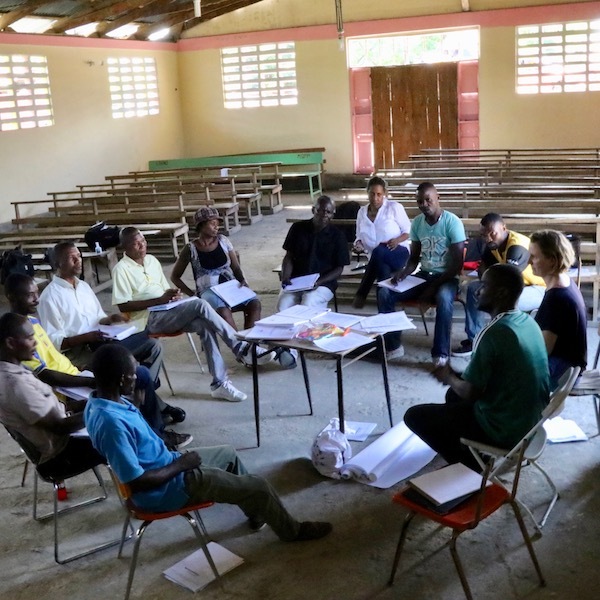 Our Communities teams work closely with our Policy and Research teams and regional allies to advance accountability. Learn about our team here. We invite you to meet our community partners and explore our cases here.